How To Backup Our Skype Contacts? Ever since Skype 1.2, the information regarding which users are in your Skype contact list, is stored not on your computer, but on a remote server property of Skype. What this means to us, is that no matter where we log in, our contacts are always there. Even if we delete every bit of information on our computer, our Skype contacts are still safe. That said, you probably do not need to backup your Skype contacts, but it will not hurt if you do that. In fact it could be very helpful to you. There is always a chance that you loose your contacts. For example Skype could have problems loading them from the server, or even hardware problems in the server could cause missing data. Just Google the phrase lost skype contacts and you will see what I am talking about. 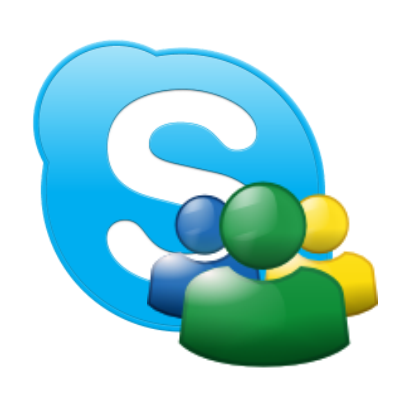 So if you want to have a copy of your contacts in Skype, read bellow :). Open Skype and sign in with your username and password. A windows opens. Choose a safe folder for your file and click Save. Done. In order to restore your contacts in any time take a look at step 2 and instead of Backup contacts to file… just choose Restore contacts from file…, then find the file and click Open. Hi. Exporting something is also backing it up, but I see what you mean. It is better to be backup. I changed the title and some of the text. Thanks. I have 2.8 on the Mac and it has no backup option or export option. I want to merge these with my address book files and other contact files. As it stands now if I enter a contact into skype it’s orphaned and I must reenter it for another app. This is not how things should work. Computer apps should make life easy for me. Hi. Sorry, but I can only help with Windows based Skype. Still, seems pretty good to be able to chat and talk to anyone in the world with internet and for free. So this computer app is definitely making our lives easier ;). It surprise me that no one even Skype support can help me get back my missing Skype contacts, after downloading a new version of Skype and open a new account.They make me 3 times change my Skype name.Backup Contact Files doesn’t work, cause no one told me to back up them. That’s why I’ve been looking for Skype Support team, but it was also waist my and their time. I got Window 7. I thought they can restore my contacts, but no. I can’t afford to pay for restoration. May be somebody can help me, explain to me step by step what to do.I can’t believe I lost my contacts which is stressful, cause it’s my connection to socialize, cause I’m alone 72y.old woman. Please somebody help me. Hi. Can you tell me what tips did they give you? And how can you do it if there is no “Advanced” option on the submenu?? Hi. What is your Skype version? How about for Skype 6.1? Hi. When I wrote the post even 6.0 was not out. For 6.0 it is like 4 and 5 and for 6.1 I haven’t still tested but it is probably the same. I will update the post as soon as possible. Hi. Thanks for the tip. I didn’t know that. To be honest I have never even used messenger. OK, but what do you suggest, how to backup the contacts that came over from Messenger as well? I missed that contacts too in my backup. I think it is more likely for the viewer to not be showing them correctly. But if you want to absolutely sure, then make a new account with no contacts and then import the contacts there from you other account. If they appear it is working. The only downside is that I am almost sure that all your contacts will get a request from that new account :D.